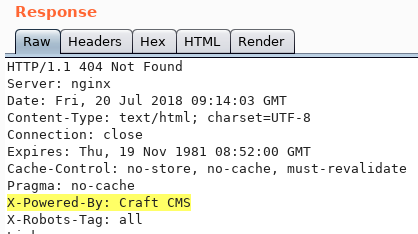 During a recent webapplication testing I decided to perform some fuzzing of certain paths within the URI of a CMS and happened to find a potential SSTI (server side template injection) within one of the CMS’ plugins which I then was able to successfully exploit for information disclosure. In this post I want to share my approach on how I moved forward with the analysis. First of all: what is it about? Basically SSTI is a scenario where user input is unsafely embedded into a template. Most of the time it is related to issues where user defined input is directly concatenated into the template and if this input contained a template expression that will be evaluated by the server. However if this type of vulnerability is new to you, make sure to visit the Portswigger blog and read this article by James Kettle (@albinowax). You won’t regret it and it is a super addition to the topic of webapplication security. His research is also available as a printable whitepaper and was presented at BlackHat 2015 (paper/video). I already was aware of the basic concept behind this vulnerability but for me this was the first time that I actually encountered it out in the wild and so I decided to freshen up my knowledge and read through James’ paper regarding the topic. 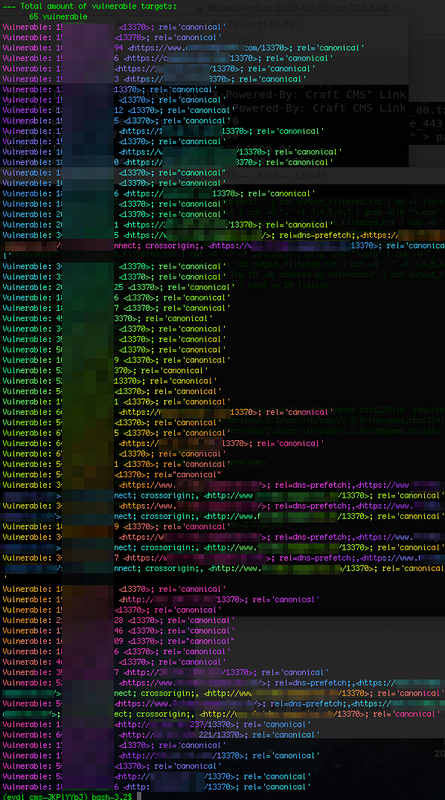 Okay, we just hit the script kiddy wall. Let me take you on the journey on how to proceed from here. First of all: let’s step back, take a breathe and evaluate the situation by breaking down the informational facts. 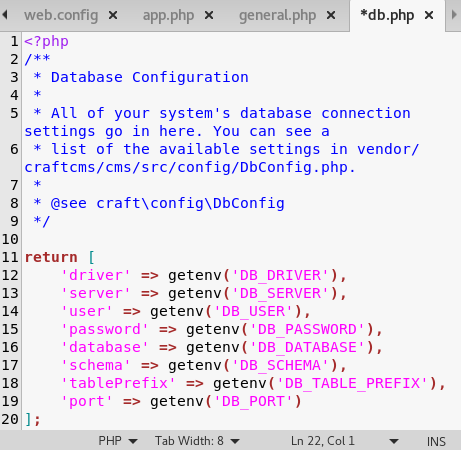 Unfortunately it does not leak the exact version number but for beginners we can simply try to leverage the latest documentation and according to this documentation Craft is using Twig (which is one of the PHP template engines covered in James’ research). As mentioned understanding older vulnerabilities can always be a good addition towards ones very own approach. Even though the issue is already fixed, the formerly present SSTI vulnerability listed above is a good example as you can find some interesting ideas by reading up how they created the PoC for this vulnerability. And finally if this is an option: download the source code and have a look at the internals! If you tried leveraging automatic exploitation and reconnaissance tools (TPLMAP) make sure to understand what they do and how they do it. According to the documentation and other statements, it turns out they changed that moving from Twig v1 towards Twig v2. So we are dealing with an updated Twig version that is not prone to the vulnerabilities disclosed in James’ research. 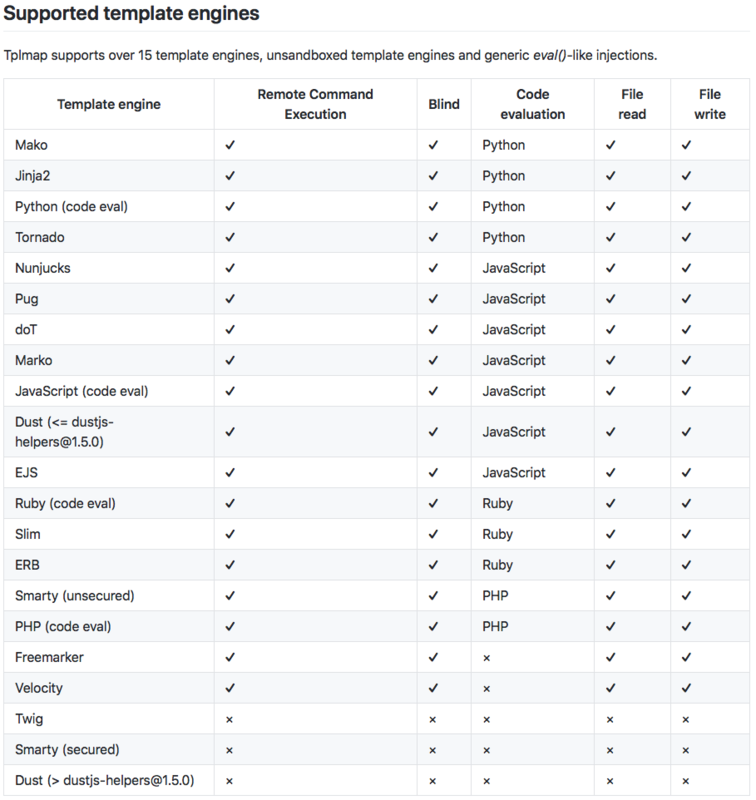 At the current point in time it seems there is no publicly available exploit alternative for Twig v2 (which also should be the reason that TPLMAP currently does not support Twig exploitation). Well, so no easy-peasy exploitation for us. But… there is still hope. This allows us to store and reflect functions in a more flexible way. As we need to store two parameter values within our User-Agent string, we need to either use a second method as a springboard or we can use Twig’s filters in order to perform some string manipulation. In this case I am utilizing slice() (https://twig.symfony.com/doc/2.x/filters/slice.html) which will allow us to combine multiple values within our User-Agent header. The way SEOmatic works, the global settings are a fallback only if nothing else matches. Most pages will match an entry, category, or product of some kind of other, and in those cases, the canonicalUrl would not be set to the offending Twig code, so the exploit wouldn’t work. So you’d need to be attacking a URL that both exists as a Twig template (so it don’t throw a 404) and then also does not have an entry, category, or product associated with it. Leveraging existing scanning and exploitation tools is always easy. But once you hit a wall spend some time with sharpening the axe before cutting down the tree. Make sure to identify and process comprehensive information in order to to get a better understanding of your target. It will pay off in the end. At the very least you will have learned something new. 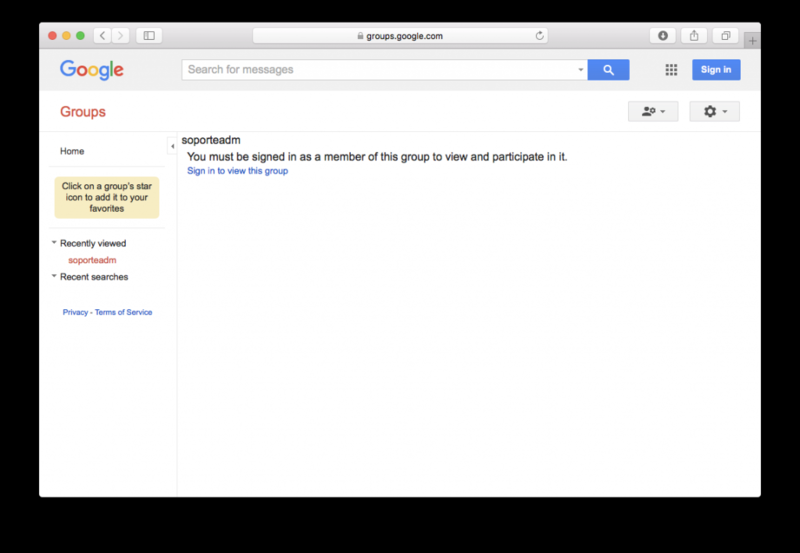 So, a few days ago Brian Krebs posted an article on his blog called “Are Your Google Groups Leaking Data?“. This article reached me while I was chilling in the sun but it did not really suprise me as I was researching on the very same topic right before going on my vacation. Actually I wanted to release this information a few weeks ago but mutually agreed with the guys from Google to wait for it until we had a chance for a direct talk which was scheduled right after my vacation (a.k.a today). At the current point in time there is not much left to be added as you can find most of the interesting information already published in the article from the researchers at Kenna Security and in Brian’s write-up (or you can have a look in the original advisory from Redlock which is even dating back to July 2017). However as I already had my stuff written up I wanted to get it out as well. 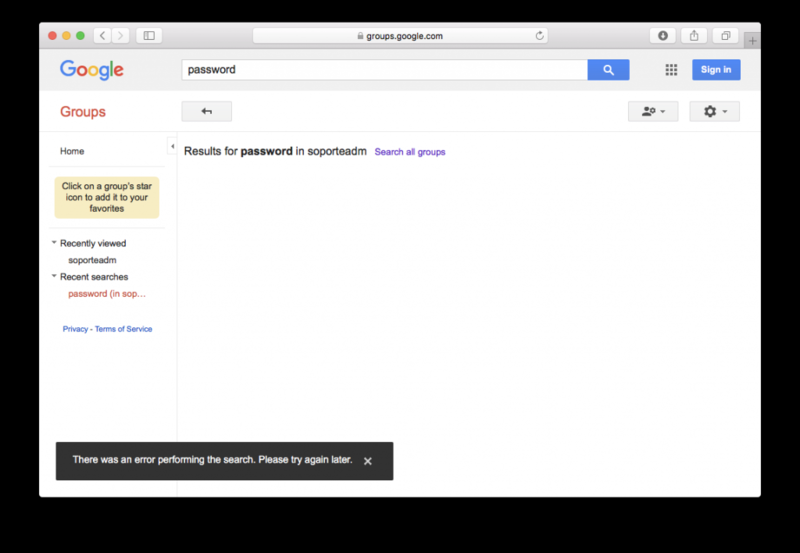 At the very least it may help to spread out the word and make sure that affected Google customers remediate the issue. As I am currently working with different organizations which are using the G Suite on a corporate level I wanted to have a closer look at the matter and was shocked with the results. As luck would have it we had a representative from Google Cloud’s Professional Service at our office so that I could share my results with him directly. 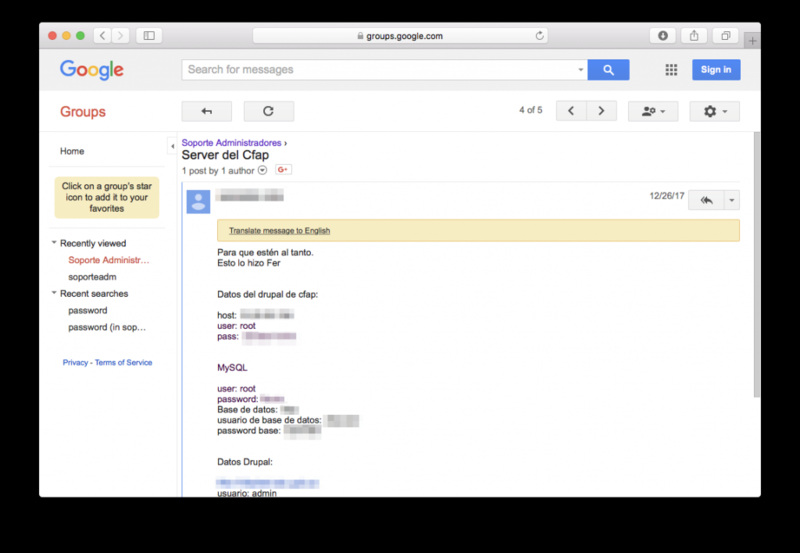 He was quite concerned with the matter and decided to hook me up with the PO for Google Groups directly. As I was about to hit my vacation I promised to deliver a quick write-up concerning my obervations and we scheduled a phone call and a disclosure for when I would return. So, today I finally had the chance to talk with Google and offered them my point of view on the matter. Overall it was a quite constructive chat and they assured me that they have taken actions in order to directly contact and inform their customers who might be affected by the issue. Right now I can confirm that only a small subset of the affected customers have fixed this. During our talk Google agreed on my point of view that the overall presentation of privacy implications within the web-frontend is not very clean. Given that, they also confirmed that right now they are evaluating howto improve the visual representation. So expect a blinking 90’s gif, marquee text and an alarm sound soon! We also discussed some other ways they had in mind of how the overall security / privacy controlls of the solution could be enhanced. As most of the stuff would require larger changes on the overall architecture, I personally feel it is unlikely they are going into this direction any time soon. Hi folks, as described earlier today the original root cause for my investigation was the fact that we came across an issue where it was possible to publicly access confidential content within Google Groups without being authenticated within our domain. We raised the issue with our internal G Suite admins and they jumped on having a look at the privacy settings for our domain. After sprinkling some magic dust they replied back to me that they applied proper changes towards the privacy configurations within our domain. 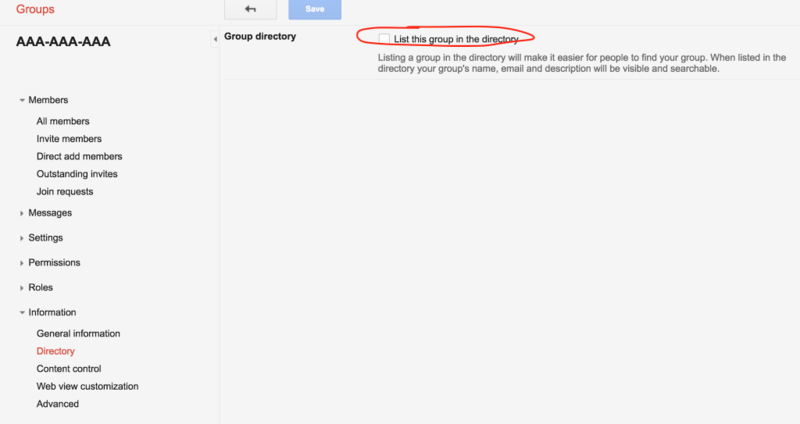 So I had another look and noted that our admins applied changes towards the visibility of groups within the index directory for our Google Groups domain. Seemed good to me as it was no longer readable without a proper authentication. This was accomplished by revoking the listing option from each group. However I found that it was still possible to publicly access confidential content by either having direct links towards the individual groups or by simply utilizing the search functionality. I immediately replied back to our admins and we had a more detailed look at the privacy settings again. After some digging through the permission settings we finally were able to determine that some users accidentally configured the permissions for their groups by selecting the option “All organization members”. 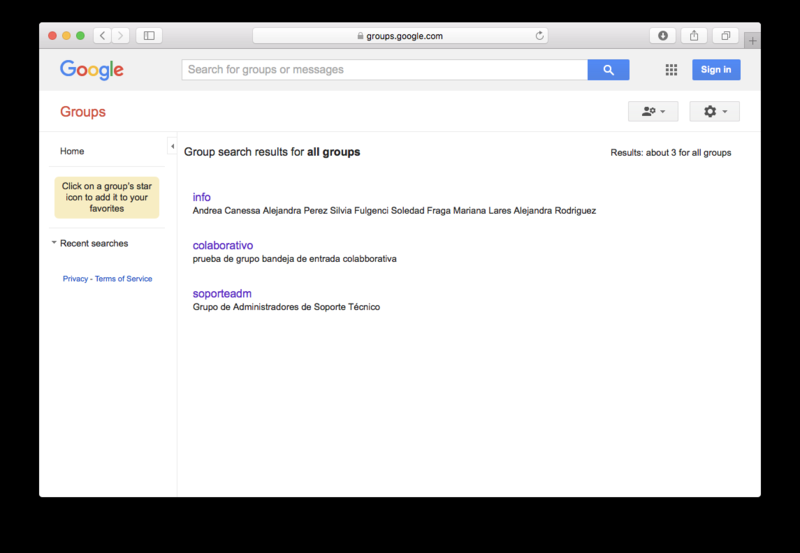 Also consider a scenario where users within a private Google Groups domain are getting used to apply the “all organization members” option to their groups. 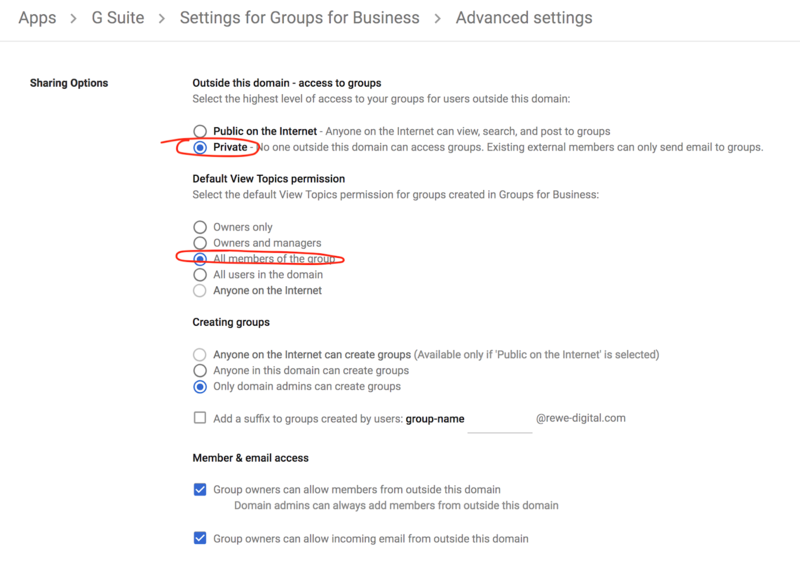 Later on in time the “Outside this domain – access to groups” configuration gets switched to “Public on the Internet” without anyone noticing that individual groups are now being exposed towards the public. Eventually we ended up with a very bad feeling in our stomach and I asked our admins to switch the domain to complete private mode. We will now reconsider our use-cases related to the G Suite products and perform proper risk assessments for them. Okay let’s have a detailed breakdown what went wrong here. we are trying to access groups with juicy names and descriptions; no luck… sadface! we search for sensitive content within the group; no luck again… sadface! we search for sensitive content within the whole domain; et voilà! … and get our hands on some nice information … profit! 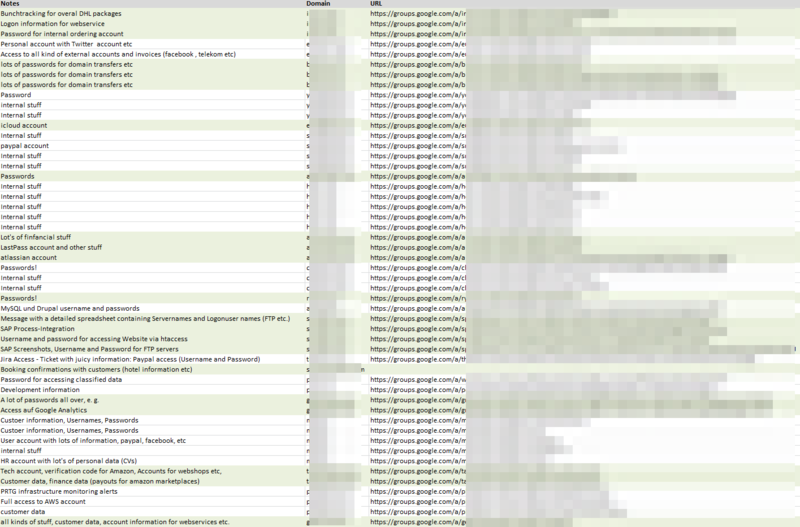 Next up I decided to have a closer look and fired up some sample queries within the individual domains in order to identify Google customers who unintentionally misconfigured their privacy settings in a similar manner as we did it before. Basically I was utilizing some search patterns in order to identify unlisted groups and later on validated which of those were not explicitly included within the overall index (therefore likely to be of a confidential nature). Please consider that we are barely talking about around 6.000 potential targets that I identified by using a common domain list. The real footprint of affected domains and customers would be somewhat higher then what is included within the Alexa toplist. A malicious and determined threat actor aiming for exploiting the issue in a larger scale will likely hit more domains then the ones I hastily evaluated with the crawler. I am confident that we can extrapolate this number into at least a few thousand additional domains. So here is what I recommend in order to mitigate the issue. First of all: let your affected customers know that they might have a problem with their data being publicly exposed. Currently the assets for managing the G Suite on a larger scale are limited. We found that by tinkering with tools such as Google Apps Manager (GAM) it is possible to run a batched evaluation of all objects within the G Suite domain. But implementing some kind of native audit feature within the webfrontend would be a huge benefit for administrators. Depending on the individual scenario users and administrators of Google Groups might unknowingly run into misconfiguration of their privacy settings. This can result in data leaks. 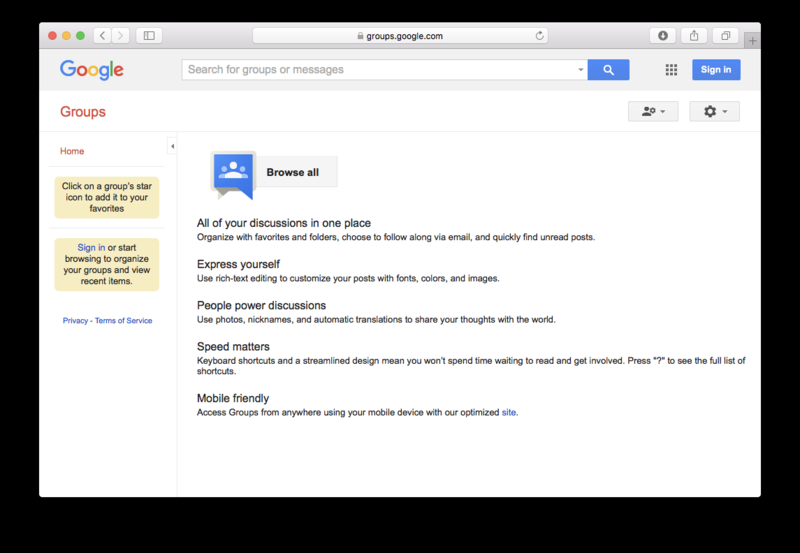 For companies whose organization and communication heavily rely on using Google Groups this can have a huge impact. 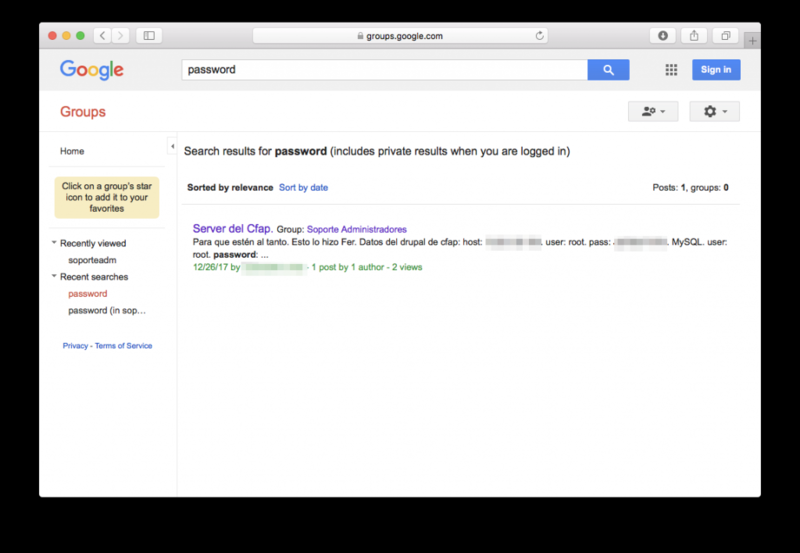 Digging through all the relevant privacy settings within the G Suite seems not very intuitive and can be a challenging task for admins. Cleaning up or auditing an existing and eventually misconfigured domain might be a challenging task as well. Making use of tools like the Google Apps Manager can mitigate the hassle. I understand that the discussed issue is not relying within the core functionality of Google Groups per se and that this is no technical security issue within the product. It rather is related towards configuration errors which are unintentionally introduced by users. Handling the entangled collection of privacy controls and assessing their implications might be challenging. I personally feel that it is Google’s duty to make their customers (admins and users) more aware of potential risks and implications regarding the individual privacy controls within the G Suite. I feel that Google needs to consider how the ramifications of those controls can be presented towards the user in a better and more transparent way. I just happened to find myself with the requirement of performing a ping sweep of the local /24 network under Windows without installing any additional software or tools. 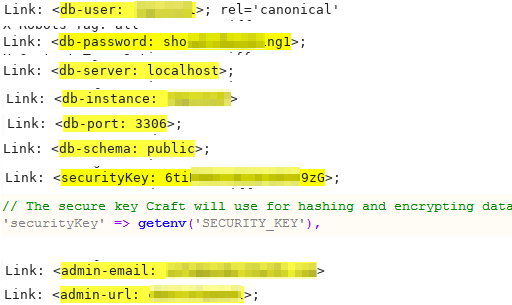 for /L %i in <1,1,255) do@ping -w -n 123.123.123.%i | find "Reply"
If you ever wonder how to foward your content from Burpsuite towards any other tool you have to keep in mind that there is a logging options available. I just realized that one can push or pull data streams through SSH as well. Just used it with DD and it saved me a lot of time. Quite often I find myself in the need in order to analyse traffic for applications on an jailbroken Android device which ignore the global system proxy settings.